"I would like to share some thoughts about the need for solidarity between Canadians and the people of Indian-occupied Kashmir (IOK) who have been living under an illegal and unjust occupation for 71 long years." The problems of Kashmir and Palestine both date back to 1947. While Palestine is well known globally, Kashmir is virtually an unknown entity. Ken Stone of the Canadian Peace Alliance thinks it ought to be brought into mainstream. 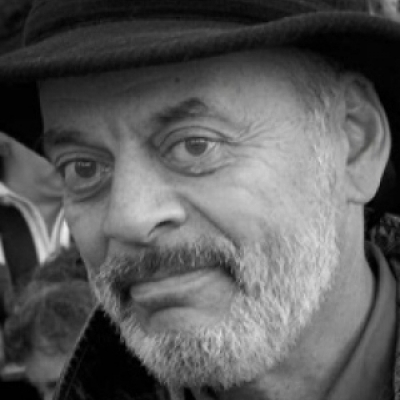 Ken Stone, executive member of the Syria Solidarity Movement (syriasolidaritymovement.org) and a longtime antiwar activist, was among the first foreigners to enter the historic city of Palmyra after its liberation from the takfiri terrorists at the end of March. Below we give his report from Palmyra. In the photo, Syrian families with their belongings retrieved from their homes can be seen standing in the street. The Syrian parliamentary elections were a vote of confidence in the government. It was a gamble because there was the ever-present threat of terrorists firing rockets indiscriminately into civilian areas. Polling stations were a favorite target because of the large number of people lining up to vote. Security forces were able to prevent any such incidents and the Syrian government's hand has been strengthened in the negotiations in Geneva. Despite the foreign-instigated mayhem and war in Syria, the government is making strenuous efforts at reconciliation. The Second International Tour of Peace found this out during their meeting with the Syrian Minister for National Reconciliation, Ali Heidar. Canadian Peace Activist Ken Stone files this report from Damascus. Canadian Peace Activist Ken Stone files this report directly from Damascus where he is part of the Second International Tour of Peace to Syria. He observed the Syrian Parliamentary election today (April 13). Ken Stone, a long-time member of the Canadian peace movement, heads to Syria to report firsthand about reality on the ground. Unfortunately there has been much misleading and self-serving propaganda about the war that was imposed on Syria five years ago. Despite an international conspiracy to impose a Western puppet government, the people of Syria and their army with the help of allies, have valiantly resisted such attempts.